Dr Alice Hughes, an associate professor at the Xishuangbanna Tropical Botanical Garden in southern China, shares her worries about rampant illegal activities in nearby Laos -- where wildlife smuggling flourishes unchecked by any legal enforcement. While most Asian countries have at least begun outwardly to condemn the illegal trade of endangered species, Laos has not recorded a single illicit-wildlife seizure in over 25 years. As a result, the E.U. law-enforcement agency Europol recently coordinated the largest-ever crackdown on international illegal wildlife trade -- which in four months seized over 1,300 elephant tusks destined for Laos. As a landlocked conduit from Thailand and Cambodia, Laos offers an ideal staging post for the import of imperiled wildlife species and products into China and Vietnam. Notably, Laos is home one of the world’s biggest international wildlife traffickers, the notorious Vixay Keosavang. Vixay has so little fear of capture that wildlife shipments worth millions of dollars are sent directly to his home. Though Laos claims it lacks the resources to screen imports, it is clear to many that officials profit from the rampant illegal trade -- as evidenced by a recent 'coffee bean' shipment intercepted in Bangkok, Thailand in April. Thai customs officials had been alerted to the bogus shipment prior to it’s arrival. But when Thai officials requested permission from the Laotian embassy to check the shipment, embassy officials denied their request and demanded its immediate release. Fortunately, Thai customs officers ignored the demand -- and discovered some 700 elephant tusks, totaling over 4,000 kilograms in weight, with an estimated value of US$6 million. While revealing that corruption reaches right into heart of the Laotian embassy in Thailand, this shipment was only opened because of a new Thai military regulation issued in March. Prior to this, all shipments through Thailand had to be passed straight on to their intended destination -- undoubtedly resulting in the transport of thousands of threatened species that were illegally killed or captured. 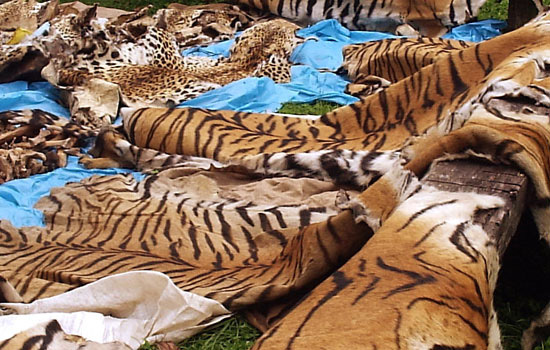 The new Thai regulation has rapidly netted a number of major wildlife seizures. And despite the mass interceptions of elephant tusks, to date this has not resulted in a single arrest in Laos. Until rampant corruption is confronted and lawless Laos follows the official stance of its neighbors, it will continue to be a critically weak link for the enforcement of region-wide anti-trafficking efforts. It's time to get tough. Lawless Laos is a paradise for wildlife smugglers -- and a key conduit to China and Vietnam, the world's biggest consumers of illegal wildlife products.